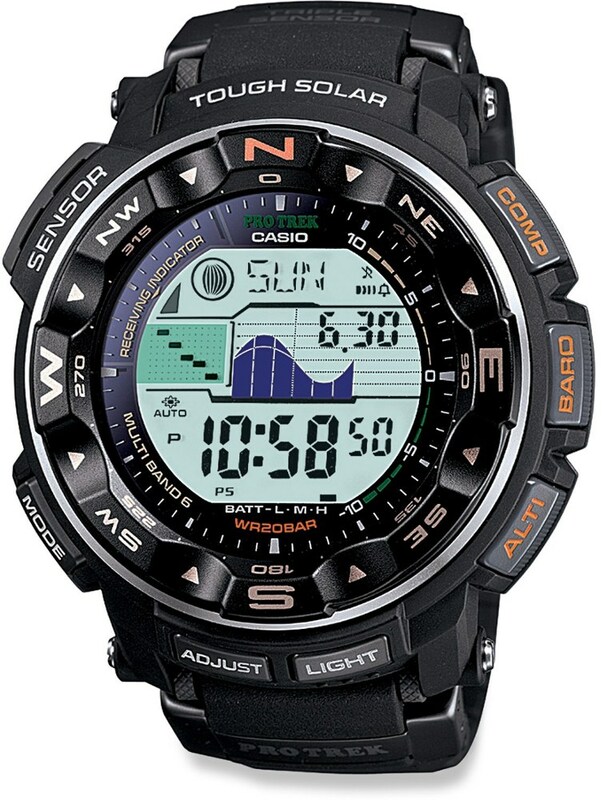 This review is for the Casio Pathfinder PAW1300T-7V. This review is for the Casio Pathfinder PAW1300T-7V. 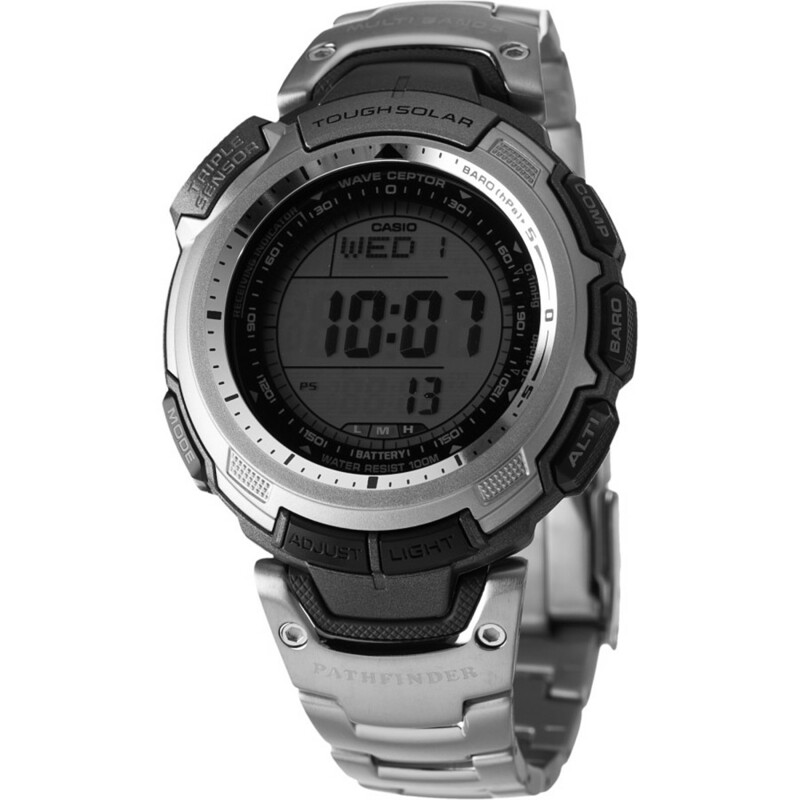 This is the titanium slimline version of Casio's Pathfinder watches. This is a fantastic looking timepiece. 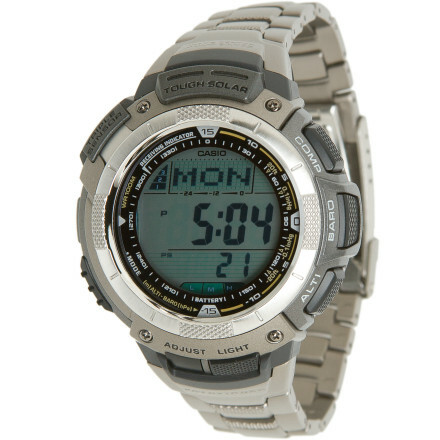 The smaller size and lower profile eliminates the "geek" look, common of most multifuction watches. Since the watch updates the time from the radio transmitter in Fort Collins at midnight every night, its accuracy is never in question. The manual suggests that you remove the watch and place it on the window sill for accurate updates, but I wear the watch to bed and have never had a problem receiving the update - even when in the backcountry. Compass, Altimeter, Barometer, and Thermometer all work great. As with most watches like this, you have to remove the watch to get an accurate temperature reading. 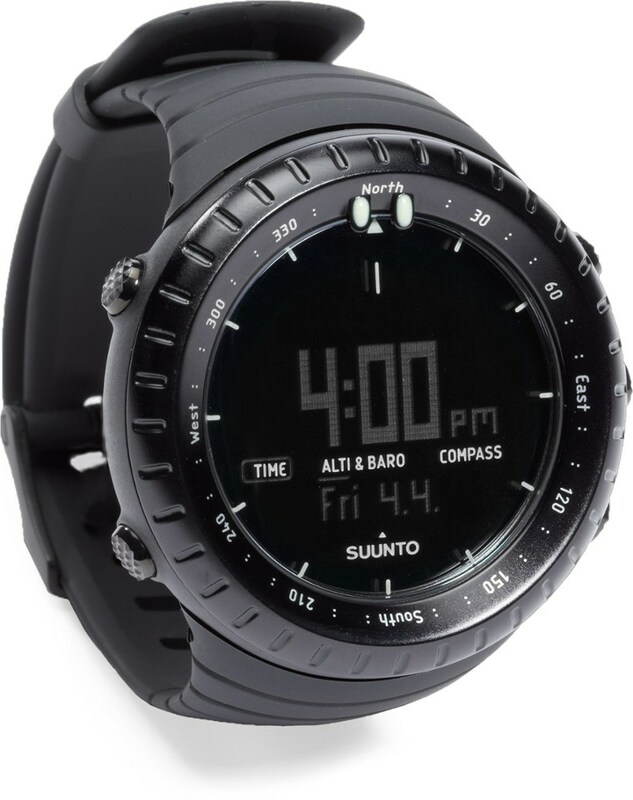 The compass takes some getting used to because it only takes readings for 15 seconds after being activated in order to save the battery. You can keep pushing the compass button if you need more 15 second intervals to get your bearing. The only reason I didn't give this watch a 5.0 was because of the backlight. On the slimline version, the light comes on for two seconds max with each push of the button. (You can make the watch illuminate by turning your wrist also.) Two seconds isn't much time to take a bearing if you are using the compass at night. (Of course you shouldn't be navigating at night without a flashlight.) 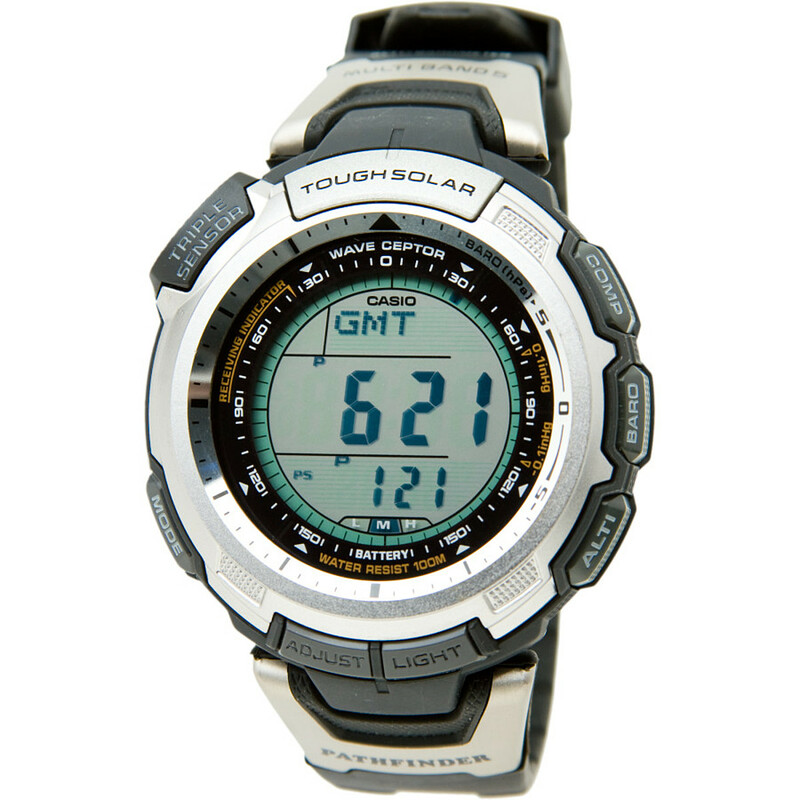 Some of the other versions of this watch have selectable backlight time. The display is large, clear, easy to read, and customizable. The titanium version is extremely rugged and great looking. 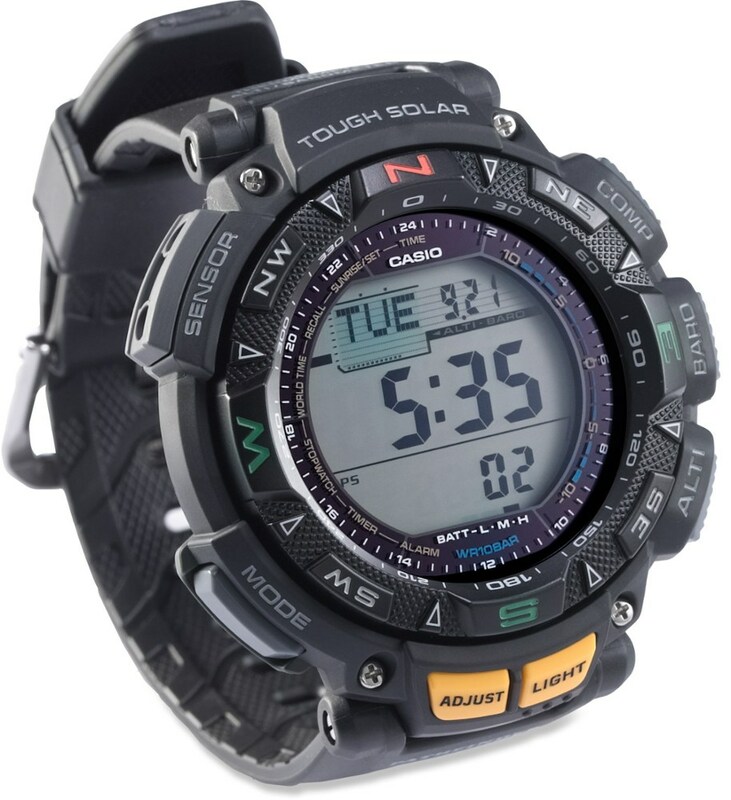 In my opinion, it's the best backcountry watch you can buy at any price. 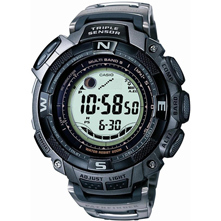 The Casio Pathfinder PAW1300T-7V is not available from the stores we monitor. It was last seen February 20, 2015	at Backcountry.com.